Founded over twenty years ago, Belvoir is the UK's leading multi award-winning lettings specialist. 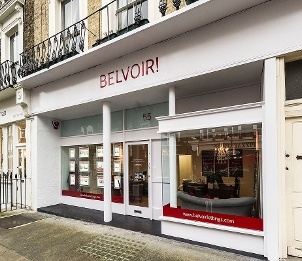 Belvoir currently manage a property portfolio of over 35,000 properties across the country valued in excess of five billion pounds. Belvoir aims to provide landlords and property investors with a professional yet personal service. Being responsible agents, we are members of National Approved Letting Scheme (NALS), The Property Ombudsman (TPO) and Safe Agent i.e. bonded for Client Money Protection (CMP). We are confident our fresh and highly effective approach will let your property to professional/corporate tenants in good time at the optimum rent. Please call us to discuss how we would do so.